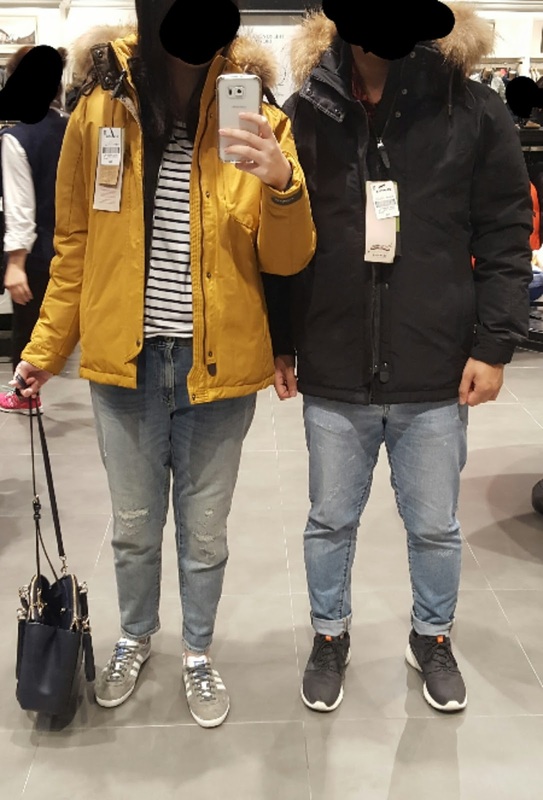 I have been eyeing Korea's winter jackets for quite some time. 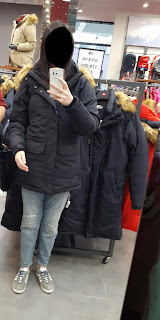 Winter in korea can be really chilly thus getting a good down jacket is quite important. That is also the reason why I think Korea's jacket can be trusted when it comes to keeping warm (and staying trendy). 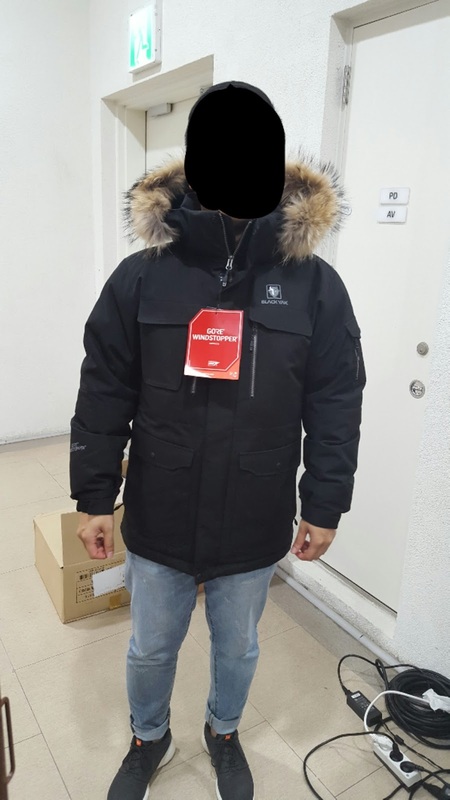 Some of the popular brands in Korea include North Face (Mcmurdo series) and Discovery (Milford series). 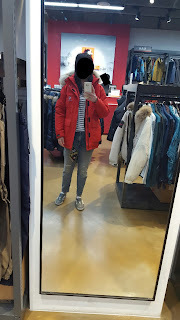 I went for a winter jacket hunt when I was in Korea in early October. 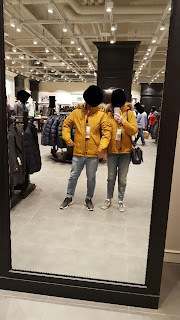 I believe this was the best time to get good deals for winter jackets, many of the jackets (usually past models) were on sale. A good down jacket should be water resistant, light but still thick enough to keep warm, wind resistant, comes with hood and last but not least, fashionable and stylish enough. I had set my eyes on Mcmurdo from North Face and have been searching about it online for the past 1 year. I have no doubts at all about its quality. 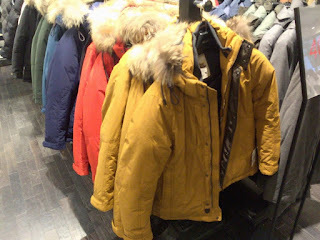 This costs KRW 420,000 at Gimpo outlet mall, original price is around KRW600,000. It is definitely above my budget but my bf said it's cheap going by Korean's standard. True enough, I do see a couple of people buying it. Since I was already at the outlet mall, might as well check out more options. The Bean Pole jacket got me wavering. I have never seen such nice camel coloured jacket. The fur doesn't look too shabby and the jacket is light and comfy. This jacket comes in 6 colours (black, navy, red, green, light blue, camel). 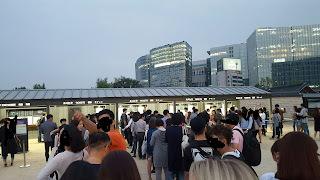 Originally selling for KRW 418,000, it was going at KRW 209,000 (after tax) while I was there. A bargain too good to give up on. Tax can be refunded at the airport. Decided to also check out K2 and Black Yak, both are well known Korean brands. I think those below ranged from KRW 300,000 to KRW 390,000. These were of good quality as well but the design, cut and colour did not capture my interest as much as Bean Pole's. And so.... both me and my bf bought the super cheap camel coloured jacket from Bean Pole! Happy and contented. Love the colour and how the collar/hoodie fur stays up, shielding the neck from the cold. By the way, I got my jeans from Uniqlo at Myeongdong, it seems like slim boyfriend fit is the trend in Korea in Autumn 2016. 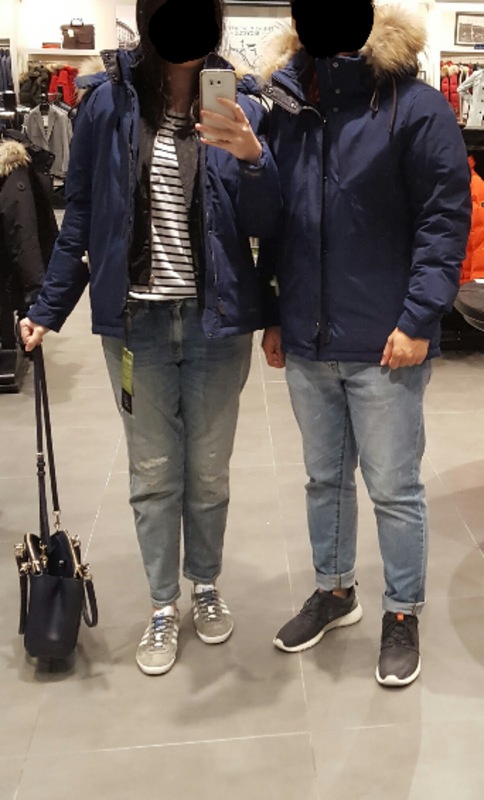 Hope this guide will help you make a decision on Korea winter jacket investment. 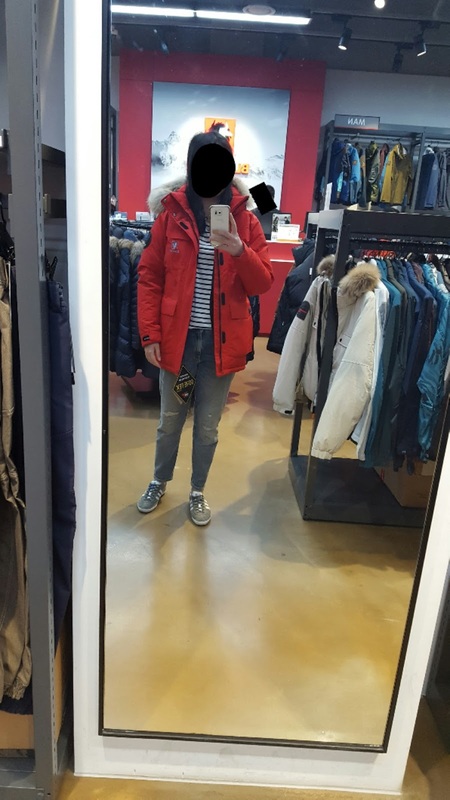 Refer to my Recent travel to Jeju post for a photo of a coat I got from Korea (from a brand called Soup). Hi, may I know which outlet u went ?